Armenia Tourism Blog: Armenian cuisine - a real treat for any gourmet. Armenian cuisine - a real treat for any gourmet. 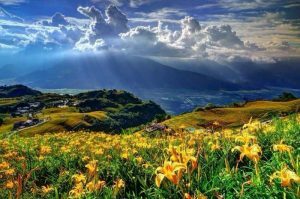 Armenia is a country of hot summer sun, mountain rivers and rocky soils. Maybe this is the exact secret combination of factors that makes everything growing in this land so delicious and full of life. The country truly boasts not only rich culture and hospitable people but also authentic cuisine with abundant choice of delicacies for every taste. The cuisine here is so rich and various, that it will satisfy the tastes and preferences of any tourist. Even the most rigorous gourmets won’t remain indifferent. Armenian food is the most ancient in the Caucasus region. It formed about 2000 years ago. Well-developed stock raising in the Armenian highlands led to a variety of meat and dairy products, and the early appearance of agriculture explains the extensive use of grains, vegetables and herbs. It is hard to imagine Armenian meals without these products. But you may wonder what distinguishes Armenian dishes from others. First and foremost, Armenian food has quite juicy and spicy taste. One of the features of Armenian cuisine is a great number of greengrocery and spices in preparation of dishes. Armenian cooks use 300 kinds of wild-growing grasses and flowers which are used as seasonings or even as basic dishes. The surprising fact is that Armenian cuisine practically does not use fats. The majority of dishes are cooked in drawn butter. It is used for soups, stewing and roasting of meats, poultry, fish and vegetables as well as sweet dishes. Armenians value the naturalness of taste. Meat is traditionally not fried and cut in large chunks. It is boiled, stewed or baked. It’s safe to say the meat is a key component of the Armenian cuisine. Yes, Armenians love meat! But don’t worry vegetarians, you can also find many outstanding and delicious Armenian dishes for you. All these features make Armenian dishes unique, unrivaled, delicious and fragrant – a real treat for any gourmet and connoisseur of true culinary traditions.We’ve compiled some of the best Armenian dishes you need to try once in Armenia. 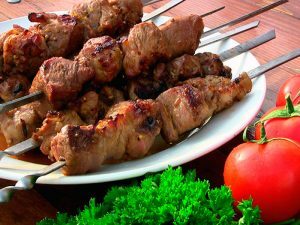 is an Armenian barbecue. It is the most representative dish of Armenian cuisine enjoyed inrestaurants, family gatherings, and as fast food in Armenia and by Armenians around the world. All in all there are more than two dozens of khorovats varieties in Armenian. Before frying the meat is marinated – each in its sauce: cognac, wine or vinegar to make sure that all chunks fried simultaneously. Preliminary preparation of meat is difficult and multi-phased, therefore all Armenian meat dishes have absolutely unique taste. It is hard to imagine any occasion or just a small get together without this. It can be made of pork, beef, lamb or even fish. Best prepared by Armenian men, who know exactly how to season the meat, make the right fire, and serve to the table. It is often combined with grilled fresh vegetables like eggplant, tomatoes and bell peppers, fresh herbs and chopped red onions. Soups in Armenian cuisine are very popular. The most known Armenian soup is called khash (from “khashel” – to boil). It is cooked from beef or mutton legs for almost 24 hours. It is a rich, viscous, fragrant and extremely healthy soup. When making khash, no salt or spices are allowed to add. The dish is always served hot with a variety of other foods or dishes: green and yellow peppers, cheese, pickles, radishes and fresh greens. You can also add salt or garlic to it after it’s been served. Usually enjoyed during a cold morning, this soup is good for hangover. 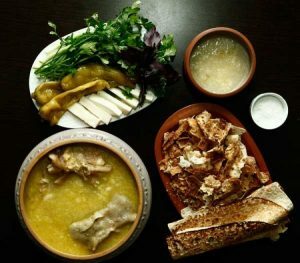 Traditionally, there is an annual party dedicated and based on consuming khash. Dried lavash is usually crumbled into the substance of khash. The meal is almostalways accompanied by vodka or/and mineral water. 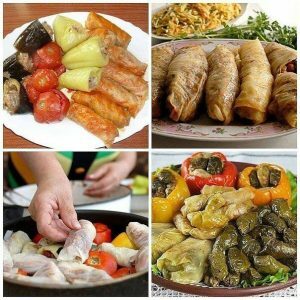 Tolma or dolma is a dish, made of vegetables stuffed with meat. Those vegetables include grape leaves, tomato, pepper, eggplant and cabbage. Forcemeat is prepared from fat mutton, rice, onions, pepper, salt and greens – parsley, mint, oregano, and coriander. It is cooked for an hour. Tolma is generally served warm, often with yoghurt sauce with garlic. Besides the traditional tolma dish, Armenians also have its vegan type, known as Pasus (Lenten) Tolma. It is made with red beans, garbanzo beans, lentils, cracked wheat, tomato paste, onion and many spices and flavorings wrapped into cabbage leaves. 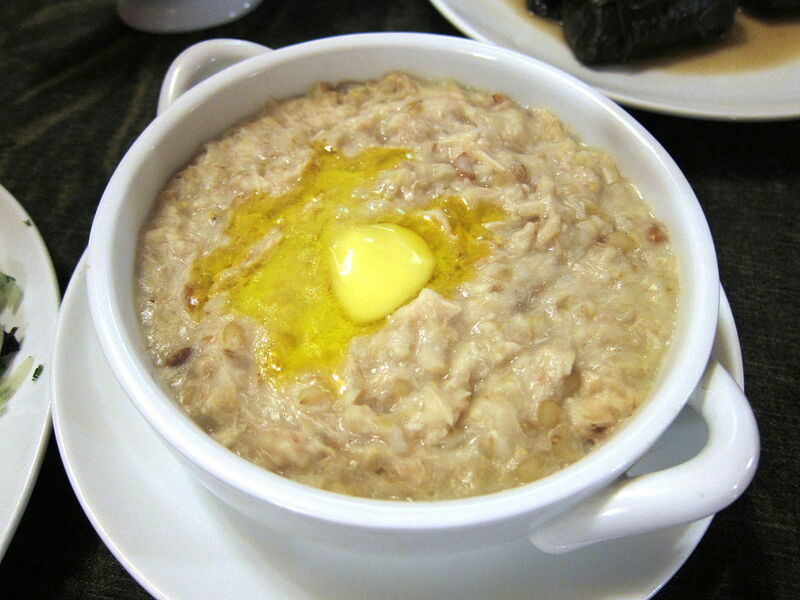 Harissa is a thick porridge made from korkot (dried or roasted cracked wheat) and fat-rich meat, usually chicken or lamb and it can be interpreted as thick chicken porridge. According to the tradition, meat is substituted with certain herbs, for religious people during the Lent (religious fasting). The cooking process is extremely long and takes a lot of effort. But it makes up the essential part of the harissa tradition, because time spent on preparation process is part of its cherished value. It is one of the tastiest and healthiest foods that you will ever come across in Armenia. 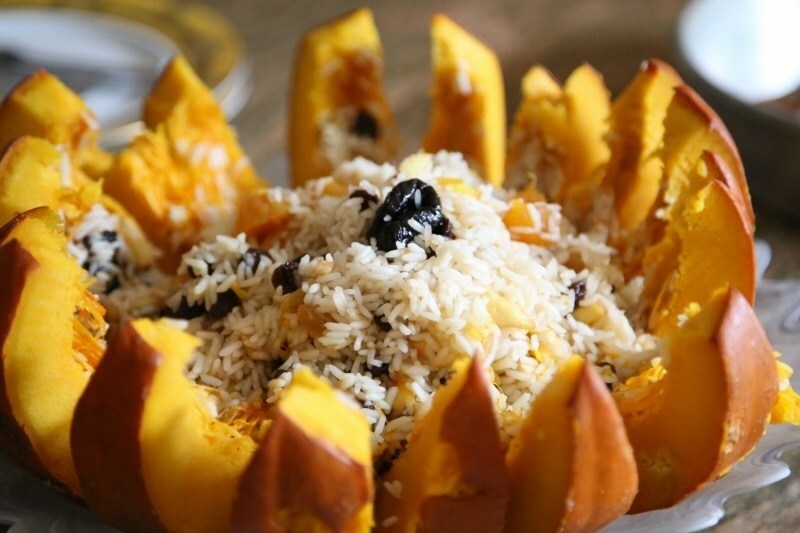 Ghapama is an Armenian dish usually prepared during holiday season. It is made ofpumpkin. After removing its guts, Armenians stuff it with boiled rice and dried fruits: apple, apricot, plums, chopped almonds, cornel, as well as prunes and raisins. The pumpkin is baked in the oven until it becomes soft (traditionally baked in “tonir”). After cutting and serving the stuffed pumpkin, it is common to pour honey or milk on ghapama, mixing in ground cinnamon or sugar. You may have heard an Armenian folk song about this meal, which is usually sung during the baking and serving process. It is known as “Hey Jan Ghapama”. 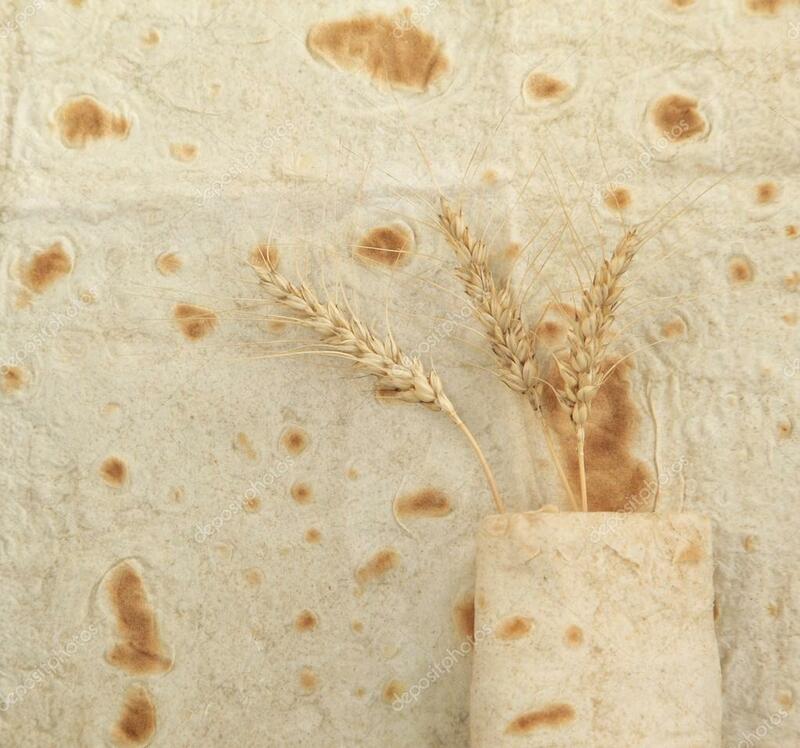 Traditional bread of Armenia– lavash (unleavened wheat cake) – is loved all over the world. Armenian cuisine without lavash simply does not exist. Not without a reason the expressions meaning to eat, have dinner, have breakfast, have supper in Armenia are replaced with one – “to eat bread”. Lavash dries up and is stored for as long as needed. Before eating it is sprinkled with water and covered – in a couple of minutes lavash will become soft like new. All dairy products are very esteemed by Armenians. They are valued like bread and consumed both as separate dishes and seasoning to other dishes. Cheeses take a special place in Armenian diet. There are a lot of varieties of cheese – with different herbs, garlic and a number of fillings. The developed household cheese making differs not only by rich assortment of cheeses but also original use of whey and buttermilk and their further processing. The most popular dairy product is matsun – thick sour milk drunk by Armenians from time immemorial. immemorial. In the summer time matsun is dilute with water and it turns into tan – a refreshing milk beverage a must in summer heat for thirst quenching. Armenia is a sunny country, rich with bright and juicy fruits and vegetables. They are eaten raw, dried, pickled and marinated; besides, they are obligatory ingredients for making soups and main dishes. Not only vegetables but fruits (quinces, cherry plums, lemons, pomegranates, raisins, dried pitted and halved apricots) are also widely used when cooking meat and fish which results in their original taste. Vegetable diet is also supplemented by wildly growing herbs – there are about 300 of them available – and spices. Do you have a sweet tooth? Armenian cuisine has something special for you too. Gata is a multi-layered cake, each layer of which is saturated with melted butter and sugar. That’s why it has such soft dough and delicate flavor. Actually, there are many varieties of gata. Each Armenian region or town, traditionally, has its own specific ways of baking gata. A sudjukh is a must for any feast and New Year tables. It consists of different types of nuts which are wrapped in fruit juice, then they are dried. It looks amazingly tasty. Armenians are very hospitable and like to entertain guests. If you manage to visit the Armenian feast, remember that none of the mistresses will let you leave the table before you have tried all the cooked dishes. Your plate will never be empty, as attentive hosts will take care of it!